Larry the Cable Guy will be on the phone with us Thursday morning to talk about his upcoming show with Jeff Foxworthy this Saturday. We're speaking with Mr. "Git-R-Done" at 9:30 tomorrow morning, you won't want to miss it. We have tickets to the show to give away including tickets with meet and greet. 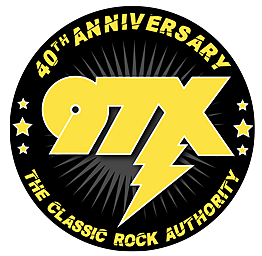 Listen to 97X for your chance to be in the front row! Tickets are available at the Adler Theatre Box Office (136 E. 3rd St.), by phone at 800-745-3000, or online at AdlerTheatre.com. He is the spokesman for Prilosec OTC and most recently launched his own comedy channel on SIRIUSXM with Jeff Foxworthy. He will also return as the voice of beloved Mater in Disney/Pixar’s Cars 3, which is currently in production. In addition to all of his professional accomplishments, Larry created the Git-R-Done Foundation, which was named after Larry’s signature catchphrase. With an emphasis on children’s and veterans’ causes, The Git-R-Done Foundation has donated more than 7 million dollars to great organizations such as The Arnold Palmer Hospital, Operation Homefront and Madonna Rehabilitation Hospital.